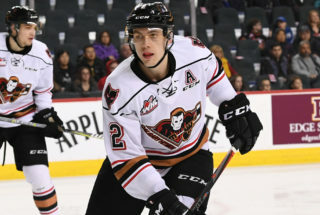 The Calgary Hitmen Hockey Club today announced the return of Riley Stotts and Vladislav Yeryomenko for the 2018-19 Western Hockey League season. Both players were attending training camps after being selected in the 2018 NHL Draft. 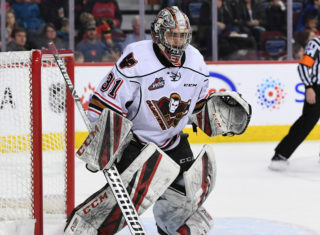 Stotts was taken by the Toronto Maple Leafs in the third round, 83rd overall, while Yeryomenko was drafted in the fifth round, 151st overall, by the Nashville Predators. 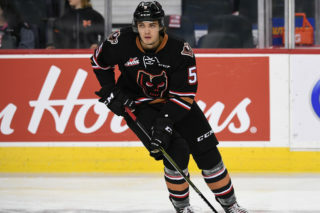 Stotts, an 18-year-old who can play both centre and the wing, was acquired by the Hitmen on Nov. 25, 2017 in a trade with the Swift Current Broncos. Selected 10th overall in the 2015 WHL Bantam Draft, he recorded a breakout season in 2017/18 collecting almost a point a game in Calgary with 41 points in 47 games. Stotts also registered 15 points (7g, 8a) in his final 15 appearances to finish fourth in team scoring. Yeryomenko, a 19-year-old defenceman from Vitebsk, Belarus, was named Calgary’s top defenceman this past season after posting a career high 13 goals and 41 points. He also suited up for his home country at the 2018 IIHF World Junior Hockey Championship posting four points (1g, 3a) in six games. 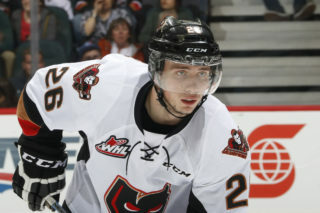 Only Hitmen defenceman Egor Zamula remains at an NHL camp. The 18-year-old is expected to play for the Philadelphia Flyers tonight in an exhibition game against the New York Islanders. 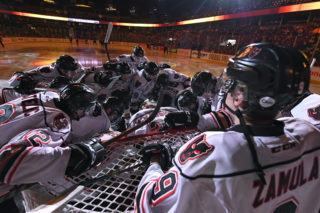 The Hitmen, who finished the 2018 pre-season 6-0, will start the 68-game regular season schedule in Cranbrook against the Kootenay ICE on Saturday, September 22.